The basic concept of a responsive web design is to make sites, which are flexible to change their appearance to offer an optimum viewing experience to the users by getting adapted to the size and dimensions of different screens. As we are aware, for web browsing, people now use a wide range gadgets like tablets, iPods, Smartphones etc. apart from the conventional desktop and laptop computers. The screen sizes are varying to a big extent as you can find 3-inch to 30-inch screens in all these varieties of devices. So, for the web designing professionals, the need now is to design web pages to fit well to all these screens alike. 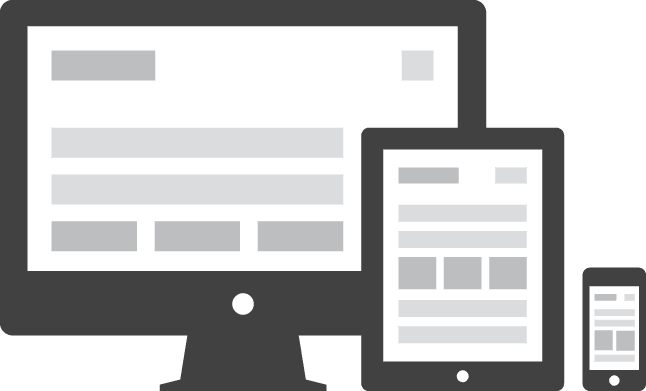 This new designing concept is known as fluidic web design or responsive web design (RWD). On the other hand, unresponsive websites now terribly fail to offer user satisfaction by not getting adapted well to different screen environments and makes it difficult to navigate. In order to make an effective responsive design, as seen on the Manchester restaurants website, a special media query is being used to check the screen size of the device in which the site is being called. This script can detect it on all devices like tablets, phone, or laptop. Based on the screen size, it uses the CSS customization to show the page in the suitable pre-assigned format. Images can also get resized according to the screens. The text is made even bigger as well as the menus are switch to drop down options in contrast to the old-style horizontal appearance. This method is very effective compared to designing a special mobile version of the same website, which needed to be separately and hosted separately. When you update your site, the changes needed to be made just for a single time which will get effectively reflected on every screen and offer a convenient viewing experience to the users. Almost all websites designed now are RWD compliant and in future, this will be a standard protocol in developing any site.